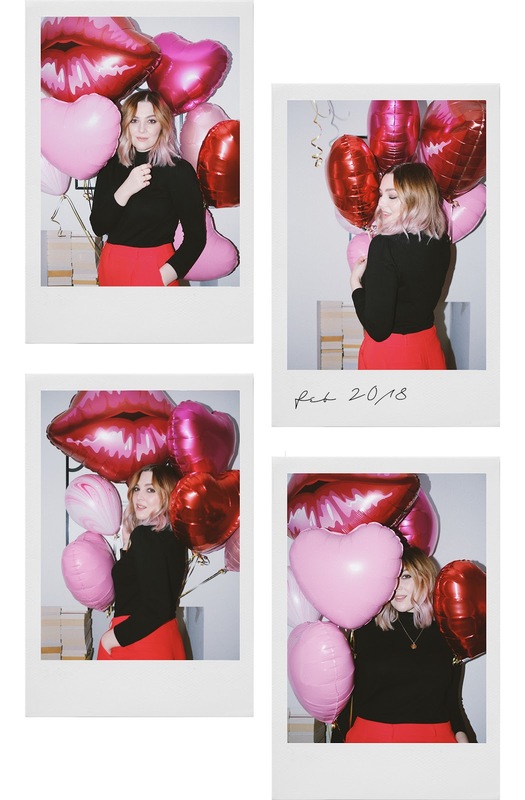 Date night, mate night or just staying at home with a tub of ice cream for one, February fourteenth is nearly upon us and no matter your current situation, why not celebrate the greatest person in your life - you! 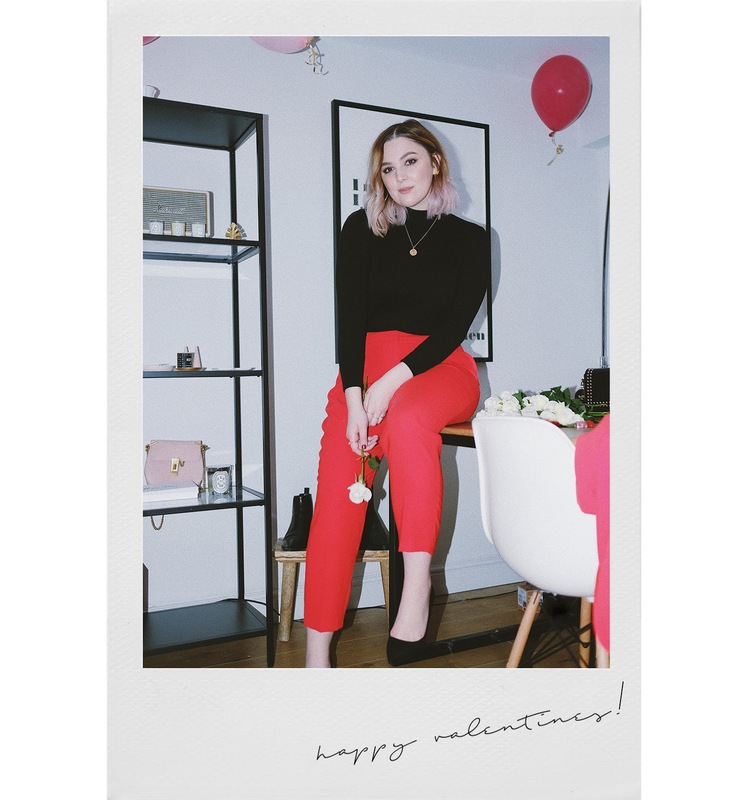 Taking that little bit of extra time to get ready no matter what I'm doing is one of my favourite parts of any night, and today I've teamed up with Debenhams to create my perfect V-Day look. My plans this year involve a night out with my best girl and a stack of pancakes the size of my head - how coincidentally awesome that Shrove Tuesday just so happens to fall the day before Valentines this year. I'm opting to go a little more dressy because lets face it, dressing up for yourself is actually the best kind of fun. 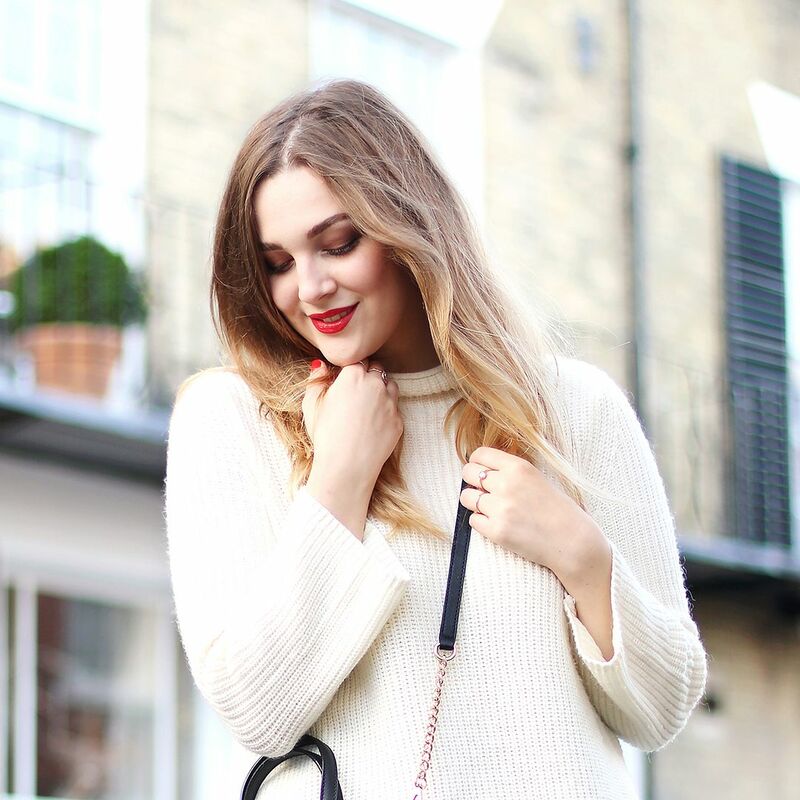 Red is kind of unavoidable around this time or year, so why not embrace it. 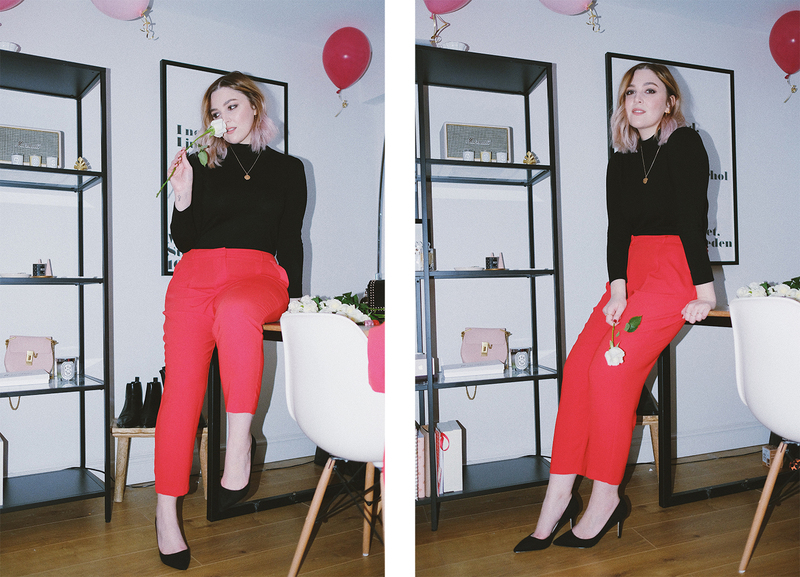 These red tailored trousers from Red Herring are super flattering and exactly how I like to wear bold colour. They're the perfect way to wear something statement with a little bit of an edge, especially when paired with an otherwise all black outfit. I went for a black turtle neck also from Red Herring and classic court heels from Faith. Going all out or keeping it casual, Debenhams is the place to go for any option you could possibly need. Whether you're looking for a perfect LBD, a jumpsuit (always one of my favourite go-to's), or even if it's just a jeans and jumper kind of night - they'll have you covered. Makeup is of course another favourite part of the getting ready process for me. Valentine's screams bright red lip usually, but I wanted to do something different to work alongside this slightly more androgynous outfit, so kept my skin simple and glowing and focused all attention on the eyes. One of the most exciting and anticipated new products of the year from Benefit Cosmetics has just been launched into the beauty Hauls of Debenhams, making it the perfect one stop shop for your entire Valentines look all under one roof! 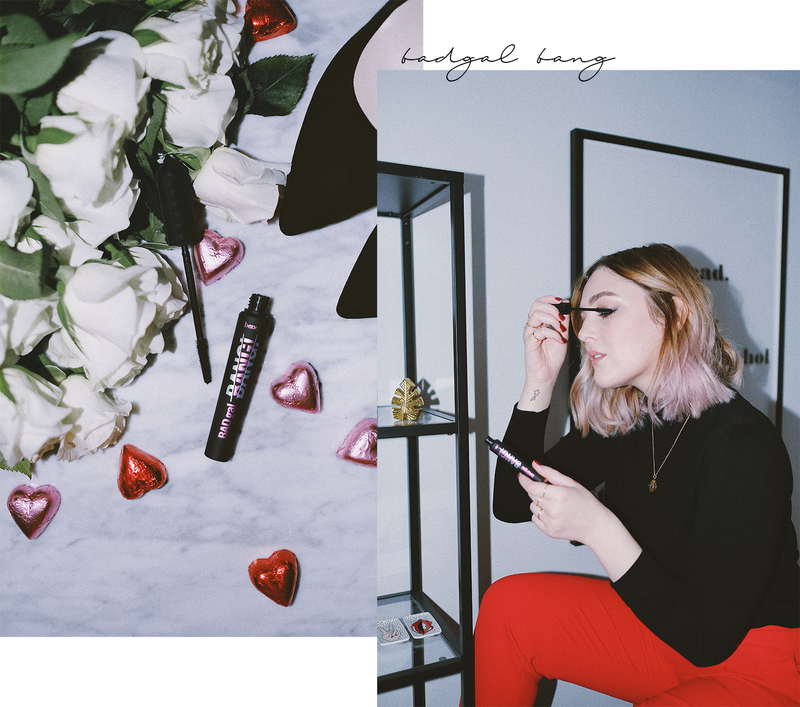 BadGal Bang is the newest member of the Benefit mascara family which already houses some of my absolute favourite formulas. 'Gravity defying' sounds like a pretty bold claim, but the lift and volume that you can achieve with a few quick coats of BadGal Bang is really quite amazing. My lashes are incredibly separated too, while still being volumised - an absolute must for me when it comes to finding a good mascara. The formula is also super pigmented but at the same time manages not to smudge, perfect for all night long wear without having to check that you haven't entered the panda zone.